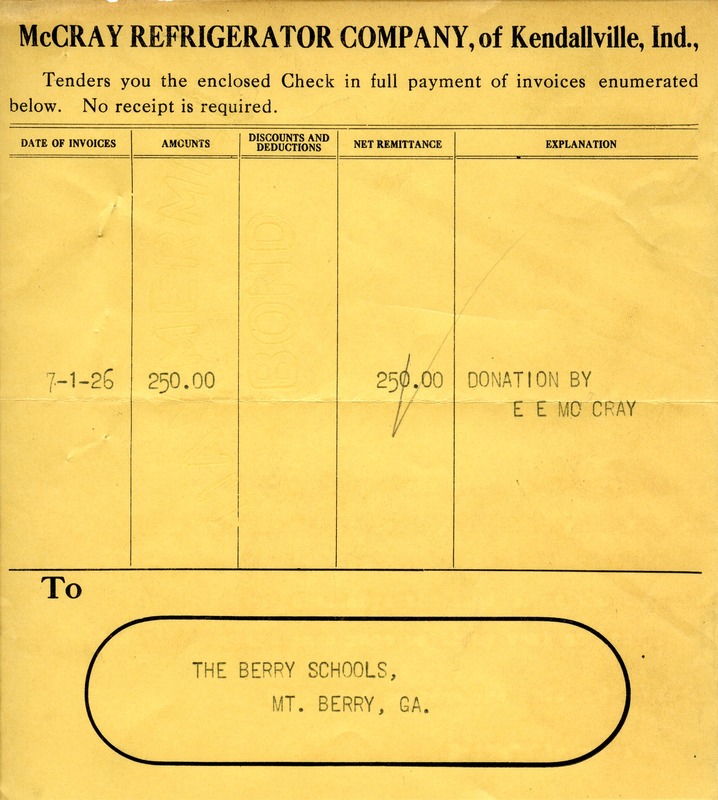 This is an invoice that appears to signify a $250 dollar donation from the McCray Refrigerator Company to the Berry Schools. McCray Refrigerator Company, “Gift Transmittal - $250.” Martha Berry Digital Archive. Eds. Schlitz, Stephanie A., Ruth Martin, Tim Crossett, et al. Mount Berry: Berry College, 2012. accessed April 24, 2019, https://mbda.berry.edu/items/show/1712.